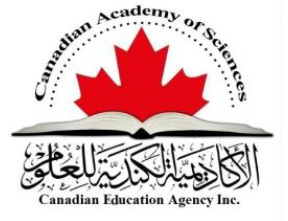 Conference Series LLC Ltd is organizing Clinical Microbiology & Infections in 2018 at Vancouver, Canada. We organize Clinical Microbiology & Infections meetings in the fields related to microbiologists, researchers, Scientists, pathologists, immunologists, scientists Principle investigators, Methodologists, CROs, CMOs, Academicians and senior executives from Bophirima, Medical devices and Pharmaceutical industries around the globe to exchange their ideas and authoritative views in this exciting field. Clinical Microbiology & Infection 2018 ardently encourages patrons, benefactors, pioneers, and exhibitors from across the world to convene you all to attend and register for the “8th Annual Congress on Clinical Microbiology and Infectious Disease” (Clinical Microbiology & Infection 2018) which is going to be venerated from December 05-06, 2018 at Vancouver, Canada. The organizing committee is endowing for a rather stimulating and illuminative conference programs subsuming Plenary Lectures, Symposia, Workshops on a myriad of topics, Poster Presentations and an assortment of programs for participants from over the globe. We invite you to accompany us at the Clinical Microbiology & Infection 2018, where you are assured to have a substantially worthwhile experience with ecumenical scholars. The clinical microbiology laboratory plays a critical role in diagnosis and management of patients with lower respiratory tract infections. By providing pathogen detection and identification and susceptibility testing the laboratory provides the basis of optimal empirical antimicrobial therapy and individually tailored regimens.1 The microbiology laboratory also provides epidemiologic data that assist the hospital epidemiologist in the prevention, detection, investigation, and termination of nosocomial outbreaks.2 When correctly and promptly used, the information provided by the clinical microbiology laboratory improves clinical outcomes, reduces unnecessary utilization of antibiotics, and prevents nosocomial transmissions. Clinical microbiology is a discipline that incorporates testing for a diverse group of microorganisms. Clinical microbiology laboratories perform aerobic and anaerobic bacteriology, parasitology, micro bacteriology, mycology, and virology. Clinical microbiology is also a rather complex discipline because it utilizes many different types of methodologies and constantly undergoes changes in testing methods. There is significant overlap in methods used to diagnose microbial diseases, and the microbiology laboratory may comprise several disciplines (e.g., classical culture methods, antigen detection methods, molecular methods, and serological methods are often performed under the purview of microbiology). Despite the improvements in microbiological testing, microorganisms remain a constant challenge, and errors do occasionally occur. Clinical microbiology is somewhat unique among the laboratory disciplines in that it remains heavily reliant on manual testing and interpretive/subjective skills, and it is somewhat subjective. Clinical microbiology laboratories use a number of rapid tests to detect specific microbial antigens or nucleic acids in primary nontissue specimens. For example, Cryptococcus antigen testing can be performed on cerebral spinal fluid (CSF), and antigen testing for respiratory viruses can be performed on nasopharyngeal specimens. Molecular techniques are being used increasingly in clinical laboratories to detect pathogen-specific nucleic acids and have most notably been applied to virologic diagnosis, as discussed later. The introduction and rapid expansion of molecular techniques, especially nucleic acid detection methods such as polymerase chain reaction (PCR)/DNA amplification, to the detection of infectious agents requires clinicians to be familiar with the properties of new diagnostic tests as they enter common use. In today's clinical microbiology laboratory, automation is being introduced that will change the nature of how clinical specimens are processed and analyses. Over the last several years, many microbiology laboratories have implemented automation to process liquid specimens which have historically been inoculated to media manually. In some institutions, this automation has been able to free up staff to concentrate on other tasks and has resulted in increased efficiency in the laboratory setting. 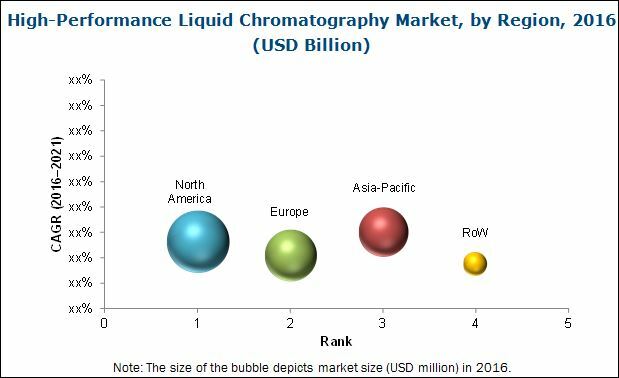 In addition to efficiency, there are ergonomic gains in the workplace due to the pre-analytical plating instruments since tasks that are manual such as de-capping and re-capping specimens are now performed by the automated processor. This functionality reduces the ergonomic impact of the manual task and improves the work place environment for the employee. This pre-analytical plating instrumentation is now being integrated within a suite of instruments referred to as Total Laboratory Automation, or TLA, which includes digital plate reading (DPR) and middleware technology applied to culture analysis. DPR and associated middleware allow the laboratory to analyse cultures in a new and innovative way. The inoculated media is imaged using a camera in the “smart incubator”, and the image presented to the technologist via the computer screen at the bench. The analysis of the culture occurs using the digital image. Further workup, such as picking a colony for mass spectrometry or automated identification, is being automated as well. This chapter will discuss the new and innovative automation solutions available for the clinical microbiology laboratory today. In a clinical microbiology laboratory, two areas depend on visual analysis or manual dexterity. First, the examination and recognition of specific characteristics of bacterial colonies growing on agar. This is a skill which requires pattern recognition and takes months, if not years, for a person to learn. Second, purifying organisms from a mixed growth by isolating individual bacterial colonies (picking colonies) requires high degrees of manual skill and hand-eye co-ordination. These skills, which are unique to clinical microbiology, take prolonged practice to perfect and depend on memorising a large body of information. A major part of the laboratory activity in bacteriology continues to depend on these processes. Third, microscopy is used for examination of a wide range of samples and tests. These include examination of: Gram stains of fresh clinical material or organisms isolated from specimens; stools for parasites; tissue culture cells for evidence of a cytopathic effect and performing cell counts on samples such as cerebrospinal fluid. Much of medical mycology is dependent on visual recognition. Electron microscopy is also available in some laboratories to aid viral diagnosis. These activities share much in common with other specialties of pathology such as histopathology, cytology and haematology which also utilise microscopy extensively. The results from these processes are largely dependent on producing a descriptive written report which, again, increases the complexity over those processes which can produce a numerical result. Therefore, full laboratory automation for performing these analyses and producing a test result will depend on highly sophisticated image analysis, advanced artificial intelligence and robotics. Emerging infectious diseases (including community-, hospital- and bioterrorism-acquired infections), emerging resistance to antimicrobial agents and increased social demand are increasing the volume and altering the nature of the activities required from clinical microbiology laboratories. Centralization, an increase in automation and advances in bioinformatics allow clinical microbiology laboratories to keep up with these ever-increasing demands. Technologies and techniques that are progressing at the moment include rapid molecular detection, identification and genotyping of bacteria; antimicrobial-resistance determination; rapid immunological detection of pathogens; easy-to-use electron microscopy; and data digitalization and the secure online exchange of information. The future evolution of clinical microbiology might include the spread of 'at-doctor' tests and bedside tests at the same time as specialized diagnoses are centralized in reference laboratories that are connected on national and international scales. Centralization should allow the development of p3/p4 laboratories, molecular-biology platforms, including mass spectrometry, and serology platforms, including antigenic microarrays for serodiagnosis.Sampling strategies might evolve towards pathology-based sampling kits in accordance with the development of multiplex platforms. In addition, data reporting could be based solely on digitalized figures and could include data interpretation and the addition of electronic links to up-to-date literature, which can be exchanged in a timely manner through the internet. Large clinical microbiology laboratories could engage in the regular reporting of epidemiological trends for pathogens, pathogen subtypes and antimicrobial resistance. Microbial Pathogenesis is the study of the molecular mechanisms used by microbes to cause disease in humans and animals. Microbial pathogens incorporate microscopic organisms, infections, growths, and parasites and together record for a huge rate of intense and unending human illnesses. Host-microorganism associations require an interdisciplinary methodology, including microbiology, genomics, informatics, molecular and cell science, natural chemistry, immunology, and the study of disease transmission. An antimicrobial can be described as an agent that kills microorganisms or stops their growth. Antimicrobial medicines can be assembled according to the microorganisms they principally act against. Antibiotics are used against bacteria and antifungals are used against fungi. Antimicrobial chemotherapy implements the clinical use of antimicrobial agents in treating infectious disease. The positive conclusion of this antimicrobial medical aid depends on many factors like site of infection, host defence mechanisms and pharmacokinetic and pharmacodynamics activity of the antibacterial drug agent. They can also be categorised according to their function. The use of antimicrobial medicines to treat infection is known as antimicrobial chemotherapy, while the use of antimicrobial medicines to prevent infection is known as antimicrobial prophylaxis. Antimicrobial agents that treat microorganism infections are a unit such as medicine therapy, equally for the fungal, microorganism and protozoan infections are such as antifungal, antiviral and antiprotozoal therapy. A branch of biology that concerns with the study of fungi, with their genetic and biochemical properties, their taxonomy and their use to humans as a source of wine, cheese, edible mushrooms and their harmful effects such as toxin or infection. Fungi and other organisms recognized as fungi, such as oomycetes and myxomycetes (slime molds), often are economically essential, as some of them cause diseases in animals such as histoplasmosis. Food spoilage caused by fungi and yeasts can be more significant, particularly in a number of key food groups, those that are acidic in nature or have low moisture content. Mycotoxicology is another branch of mycology that focuses on study of toxins produced by fungi, called as mycotoxins. Host pathogen interaction takes place between a pathogen and a host. Pathogens include bacteria, fungi and viruses. Each of these several types of organisms can then be further classified as a pathogen based on its mode of transmission. This includes the following: food borne, airborne, waterborne, blood borne, and vector-borne. Many pathogenic bacteria, such as Staphylococcus aureus and Clostridium botulinum are food borne pathogens that secrete toxins into the host to cause symptoms. HIV and Hepatitis B are viral infections caused by blood borne pathogens, and Aspergillus is the most common pathogenic fungi that secretes aflatoxin which acts as a carcinogen and contaminates many foods, especially those grown underground (nuts, potatoes, etc.,). A biofilm is any cluster of microorganisms among that cells persists with one another and sometimes these cells adhere to a surface. These follower cells wind up plainly inserted inside a foul extracellular lattice that is made out of extracellular polymeric substances (EPS). The EPS parts are delivered by the phones inside the biofilm and are normally a polymeric aggregation of extracellular DNA, proteins, and polysaccharides. Because they have three-dimensional structure and speak to a group way of life for microorganisms, biofilms are every now and again depicted allegorically as "urban communities for microbes." A biofilm is a framework that can be adjusted inside to ecological conditions by its occupants. Microbial biochemistry covers the principles and importance of microbes, their growth and their effects on our surroundings and on human health specifically. Microbial biochemistry allowed the formulation of concepts that turned out to be significant in the study of higher organisms. The outline of various layers that enclose the bacterial protoplasm and their role in getting nutrients from the surface media through totally different permeability mechanism are represented. Fundamentals of the mechanisms are how cells get the energy necessary for their growth, mechanisms like, glycolysis, the pentose phosphate pathway etc. Chronic Diseases are long-term medical conditions that are generally progressive. Chronic diseases, such as Heart Disease, Diabetes, Stroke, Asthma, Cancer, Chronic Respiratory Diseases, Chronic Obstructive Pulmonary Disease, Diabetes Mellitus, Hypertension, Lipid Disorders. At present, these are the major causes of disability and death globally, representing 60% of all deaths. Chronic diseases generally cannot be prevented by vaccines or cured by medication, nor do they just disappear. Health damaging behaviors - particularly tobacco use, lack of physical activity, and poor eating habits - are major contributors to the leading chronic diseases. Chronic diseases tend to become more common with age. Adopting healthy lifestyle practices such as a healthy diet, regular physical activity, and avoiding tobacco use can prevent or control the onset of debilitating and expensive complications of chronic diseases. 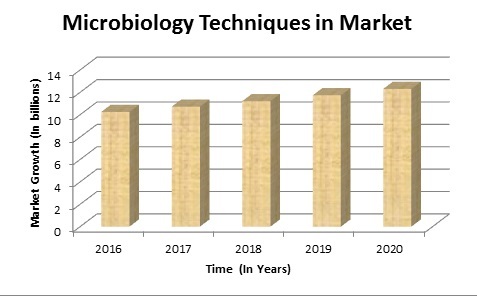 The worldwide clinical microbiology advertises is anticipated to achieve USD 5.77 Billion by 2021 from USD 3.35 Billion of every 2016, developing at a CAGR of 11.5% from 2016 to 2021. Market development can be credited to variables, for example, the mechanical progressions; rising rate of irresistible sicknesses and developing flare-up of plagues; developing medicinal services use over the world; and expanding subsidizing, look into awards, and open private interests in the field of life science investigates. In 2016, North America and Europe are relied upon to be the develop markets for clinical microbiology items. Be that as it may, developing locales, for example, Asia-Pacific (counting Japan, China, and India) are relied upon to end up plainly the new income producing pockets in the market in the following five years. The North American market is relied upon to hold the biggest offer of the worldwide market in 2016. Be that as it may, the Asia-Pacific market is anticipated to develop at the most elevated CAGR amid the conjecture time frame attributable to the developing number of healing facilities and clinical indicative labs in India and China; extending research abilities for the advancement of inventive and reasonable clinical microbiology testing strategies crosswise over India, China, and Japan; and rising occurrences of irresistible ailments. Europe is relied upon to hold the second-biggest offer of the worldwide clinical microbiology showcase in 2016. This conspicuous market position of the European market is because of components, for example, rising acknowledgment of genome-based analytic methods by human services experts, steady government strategies that simplicity open availability to demonstrative test methodology (counting clinical microbiology), extensive number of clinical microbiology systems performed yearly over the district, nearness of countless and sub-atomic indicative organizations, fast development in the maturing populace, and developing rate of irresistible ailments. bioMerieux S.A. (France) dominated the global clinical microbiology market in 2015. In the past three years, the company adopted product development and commercialization as its key growth strategies to maintain its dominant position in the global market. Other leading players present in the market include Danaher Corporation (U.S.), Becton, Dickinson and Company (U.S.), Cepheid (U.S.) Abbott Laboratories Inc. (U.S.), Bio-Rad Laboratories Inc. (U.S.), F. Hoffman-La Roche Ltd. (Switzerland), Alere Inc. (U.S.), Bruker Corporation (U.S.), and Hologic, Inc. (U.S.), among others. The 7th Annual Congress on Clinical Microbiology, hosted by Committee Annual Clinical Microbiology 2017 was successfully held during September 25-26, 2017 in Chicago, USA. The conference highlighted the theme “Advances in Infectious Diseases and future trends in Clinical Microbiology”. The conference was successful in gathering eminent speakers from various reputed organizations and their paramount talks enlightened the gathering. The pragmatic meet organized by Committee Annual Clinical Microbiology 2017 received a generous response from the Editorial Board Members of Committee Annual Clinical Microbiology 2017 Journals as well as expertise from academia, talented researchers and young student community. Researchers and students who attended from different parts of the world made the conference one of the most successful and productive events in 2016 from Committee Annual Clinical Microbiology 2017. The conference was marked by the presence of renowned Speakers, Young Researchers, Students and Business Delegates driving the two-day event into the path of success with thought-provoking keynote and plenary presentations. To share your views and research, please click here to register for the Annual Clinical Microbiology 2018 Conference. The Committee Clinical Microbiology 2017 would like to convey a warm gratitude to all Honorable Guests and Keynote Speakers of Annual Clinical Microbiology 2017 Conference. We are obliged to various delegate experts, institutes and other eminent personalities who actively took part in the discussion and meetings. We sincerely thank the Organizing Committee Members for their gracious presence and continuous support towards the success of Annual Clinical Microbiology 2017 Conference. With the valuable feedback and generous response received from the participants of the event. The committee Clinical Microbiology would like to announce the commencement of the 8th Annual Congress on Clinical Microbiology and Infectious Diseases December 05-06, 2018 in Vancouver, Canada.